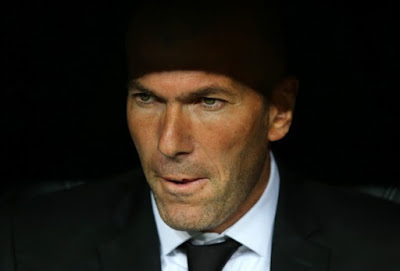 Manager Zinedine Zidane was disappointed with Real Madrid’s loss on Wednesday night in La Liga, and was asked if he regretted starting with madrid's superstar Cristiano Ronaldo. The Portuguese made his return to domestic action against Real Betis on Wednesday, after serving his five-match suspension. The manager said, "No complaints, nothing. On the contrary, quite the contrary. We are happy to have Cristiano with us and for him to be in the team. "I do not regret anything, I always want to win the game. You can make different substitutions, but the idea is the same, to go for the win."